Profile of William D'Avignon, Director of Community Development and Planning for Youngstown, Ohio. William works for Youngstown, a city of about 67,000 people in northeastern Ohio, near the state’s border with Pennsylvania. Youngstown became a leading steel producer in the late 19th century. The steel industry attracted immigrants from all over the world, including Europe and Latin America, and drew African Americans from the American South. The city’s population swelled to more than 160,000 in the mid-20th century. The steel industry collapsed in the late 1960s, and Youngstown’s population has been steadily declining ever since. Part of William’s job is to map the future of Youngstown, and make it hospitable to residents and businesses. William graduated with a business degree from Youngstown State University. He took a job with the city as an associate planner and moved up from there. “Youngstown’s 2010 urban plan was drafted with reality in mind,” William says. “The steel industry jobs are gone and most workers work in a combination of light industrial, health care, or office jobs, and jobs in the public sector. Youngstown State University is also a major employer. “The acceptance of Youngstown as a mid-size city led to an urban plan that will consolidate around existing infrastructure. The city’s population is stabilizing out at around 80,000 people, although the original planners designed a city to be more than twice our current size. In the future, this may mean making difficult choices when it comes to servicing areas with very few or no residents or businesses. William says the hard work of formulating the urban plan has started to pay off. If you live in Youngstown, find volunteer opportunities at www.youngstown2010.com. On the left-hand side of the page, under “Youngstown 2010 Action,” go to Neighborhood Groups. There you can find block groups and neighborhood watches for the North, South, East, and West parts of the city. If your group isn’t listed and would like to be, call the Youngstown Planning Department for more information. 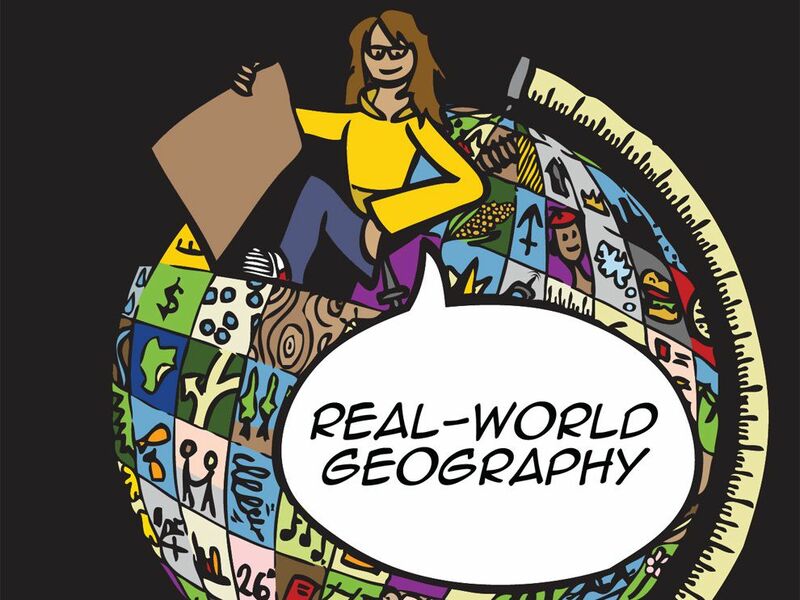 Real-World Geography: How people use geography and the geographic perspective in their everyday lives and real-world careers. feature or facility that provides comfort or convenience. to take advantage of something. official boundaries of an urban area. single piece of land cultivated and maintained by a group of people. person who starts and manages a business. economic ability to buy and sell homes in a specific location, usually a city or town. practice of buying a vacant lot of land and holding on to it, undeveloped, in the hopes that the area will develop and increase the land's value, at which point the owner will sell it for a higher price. program by an organization to connect its work to other organizations or the general public. work and work force of local, state, or national government. to anchor or make strong and reliable. policy and method of land use in a specific area, usually an urban area or country. Also called a general plan.